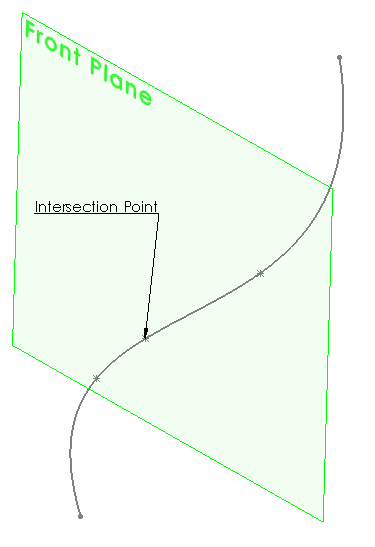 This example demonstrates how to find the intersection points between selected surface (plane or face) with curve (edge or sketch segment) using SOLIDWORKS API. ISurface::IntersectCurve2 SOLIDWORKS API method is used to find the intersection points within the specified boundaries of curve and surface. MsgBox "Please select surface (plane or face) and curve (edge or sketch segment) to find intersection"
MsgBox "Please opent the model"